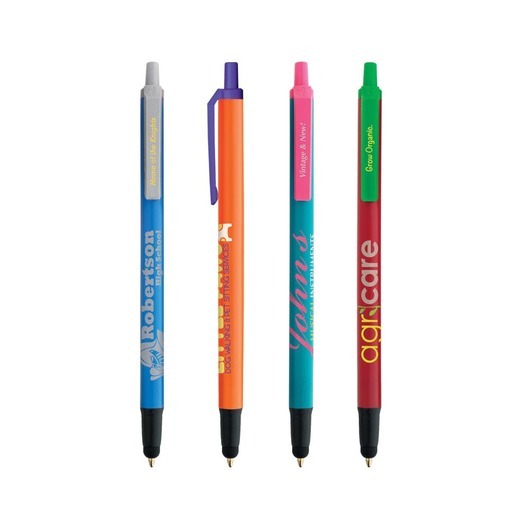 Combining both style and a stylus with these highly customisable plastic pens. Production time: Usually 15 working days from artwork approval. 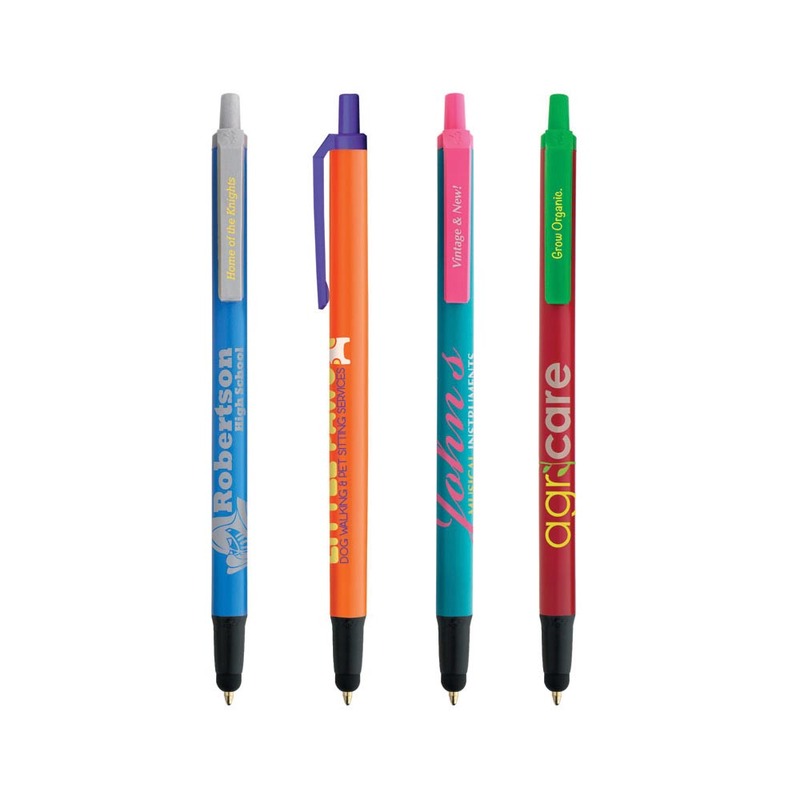 With both style and a stylus, these pens look great and have multiple uses. 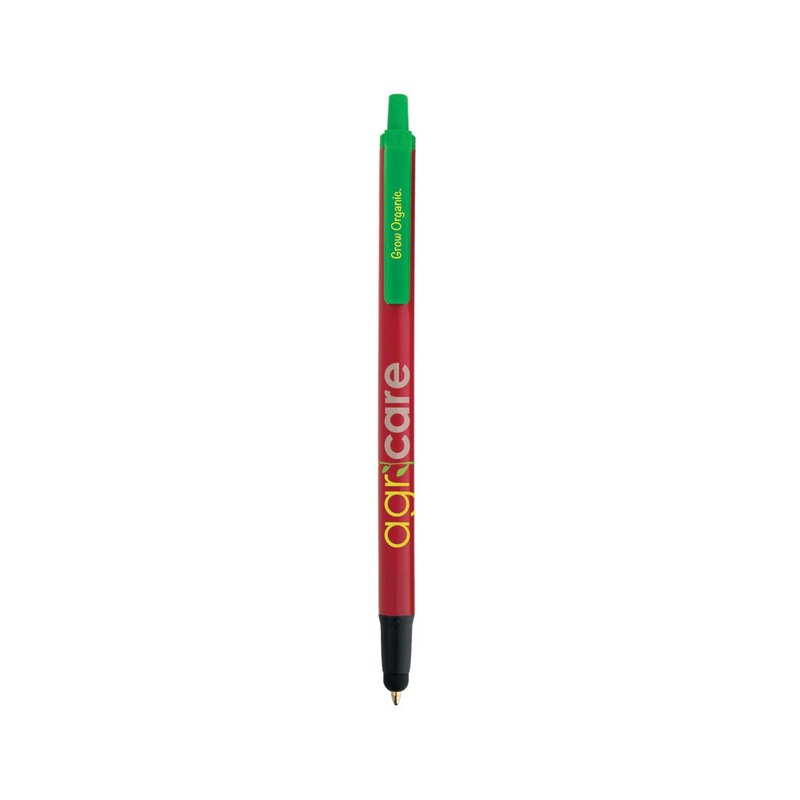 You have a choice of 10 different inks and over 600 possible mix and match colour combinations. 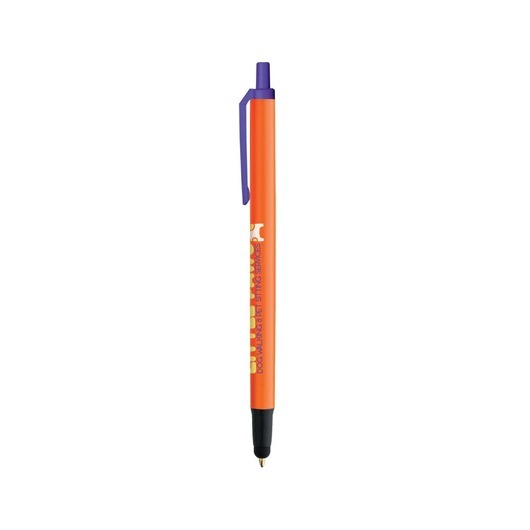 The stylus will work on any capacitive screen, simply click the pen to retract and you're ready to go!